Do you have a computer? Well, this free workshop is just for you. 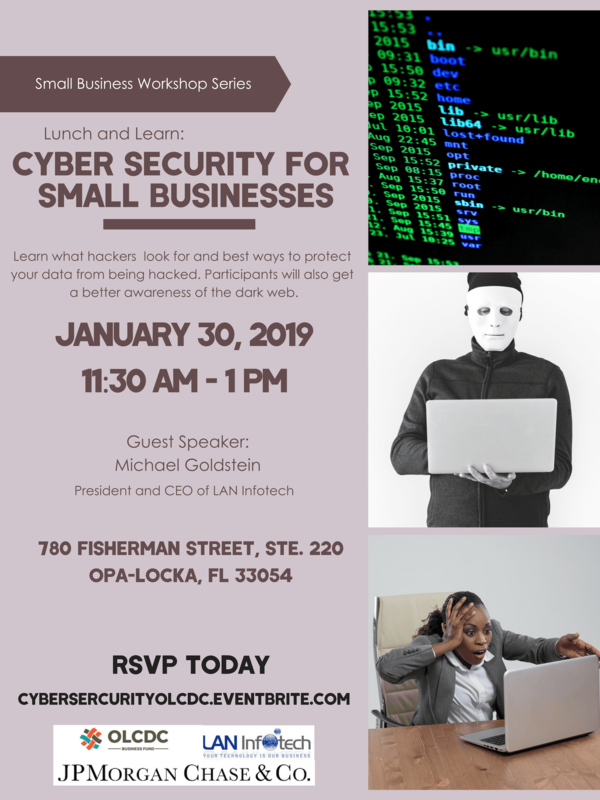 Come learn how to be more aware of what skilled hackers are looking for when doing their dirty deeeds, and learn best practices to protect your data from being hacked. We have guest speaker, Michael Goldstein, CEO of LAN Infotech, coming to speak on the topic. Come ready with questions in an interactive environment.